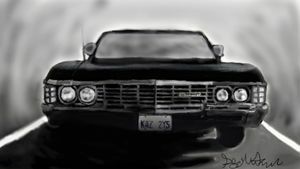 This is a drawing that took me about 2 days to complete, it is a 1967 Chevy impala with the plates of Dean Winchester's 'Baby' in season one of Supernatural . 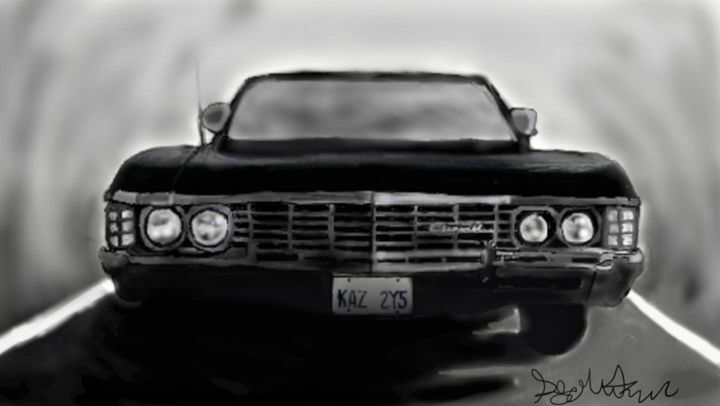 this was one of my first classic car drawing I have ever completed on my drawing tablet. I'm a cosplayer, artist, lover of tv and culture. 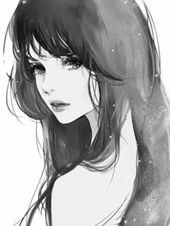 My art can range from a simple painting to a large sculpture or even a full fursuit.